Grown without reliance on artificial chemicals and fertilisers. Good Food - Organic onions, grown by specially selected farmers who share our commitment to quality. Cook slowly to bring out their flavour. Good Farming - Organic farming works with nature, using crop rotations and clover to build fertility in the soil. 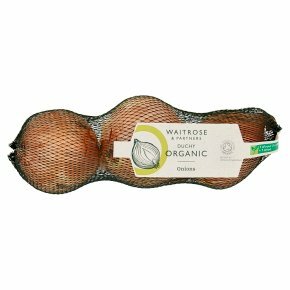 Organic onions, grown by specially selected farmerswho share our commitment to quality. Cook slowly to bring out their flavour. Good food, good farming, good causes.